We believe in the power of gemstones. We believe that wearing them enriches, strengthens or soothes the spirit. 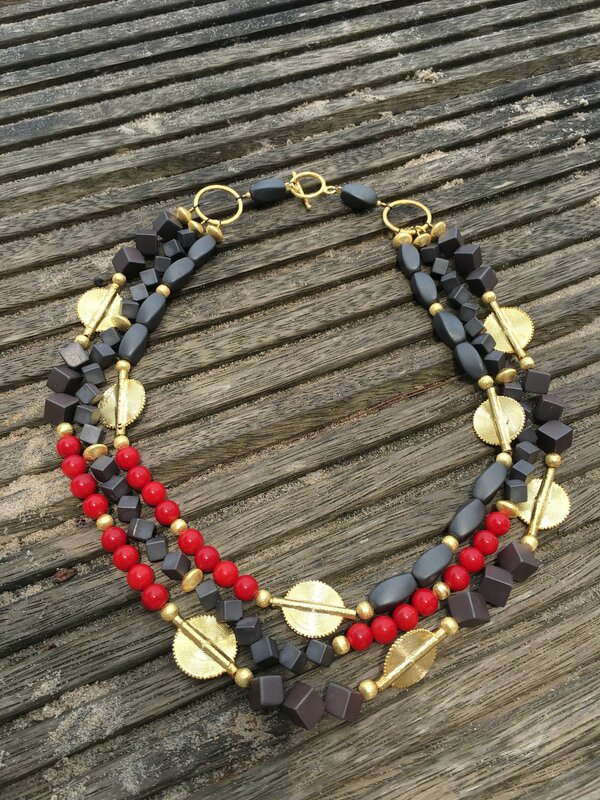 Our gemstones collection features statement necklaces made of high quality semi-precious stones and Akan goldweights. 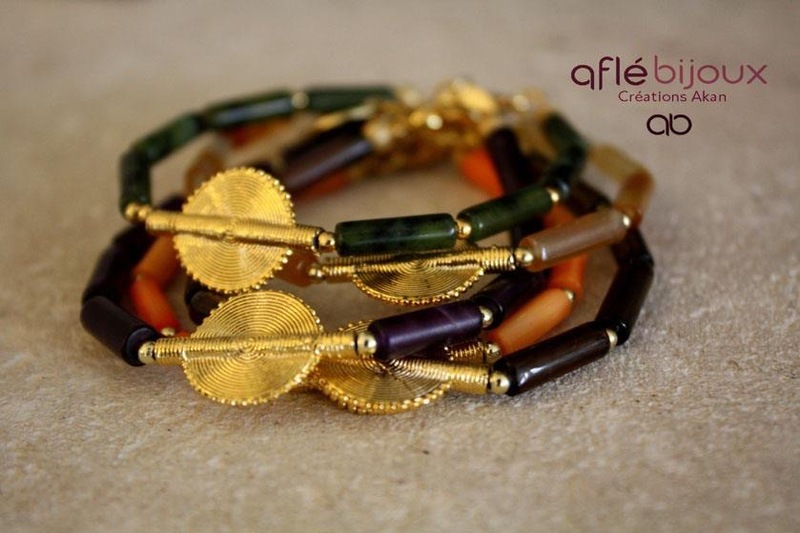 The collection also comprises a large range of gemstones earrings and baracelets. Our gemstones bracelets are fine, unique, easy to wear. They can be stackked up or simply be worn alone. They add an elegant touch to any attire. Aflé Bijoux’ s earrings are made with gold plated ear wires. They are nickel-free and cause no allergy.